Thank you for checking out my profile. I am determined to share as much of my excitement and joy from writing and reading as I can to a range of audiences, from primary school pupils to adults. Whether presenting a KS2 assembly or giving an after-dinner talk, I hope to energise, excite and inspire my audience. 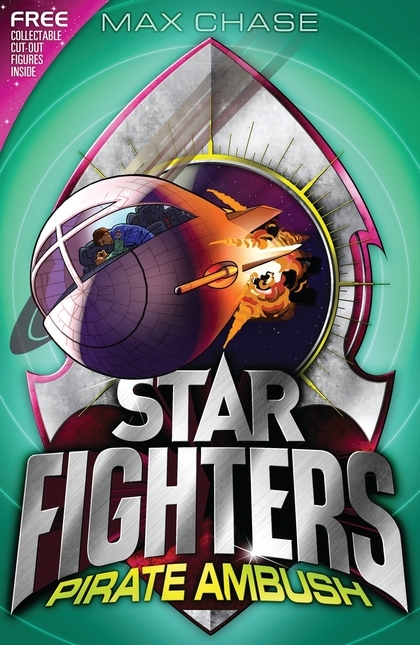 I am the lead author on the ghost-written Star Fighters series (having written 5 books as Max Chase), the co-author of a career guide for graduates and I am working with my agent on several children's novels under my own name. I've taught on the Creative Writing A'Level (AQA) and on the Young Adult Fiction online course for the Oxford University Department of Continuing Education as well as offering a private critique service. In total, I've authored 11 published books. What am I able to offer? 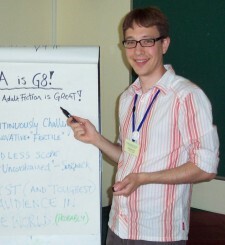 My writing workshops are always interactive and tailored to those taking part. I can offer them on a range of topics and approaches, from coming up with ideas and accessing the imagination to writing and editing. I have a range of workshops that I tailor to different age groups and abilities. I've spoken at a range of primary schools (big and small) as well as run a number of creative writing workshops for a variety of groups and organisations, including the Writers' Summer School (Swanwick), Gatehouse Press, Norwich Writers' Circle and Diss Library. I've also worked with teenagers at City College Norwich and the Uppingham Summer School. 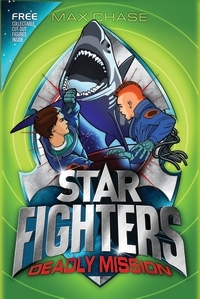 Fire up enthusiasm for reading and writing with an interactive and intergalactic Star Fighters assembly or talk. 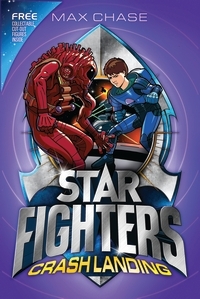 Do your KS2 students (years 4, 5 and 6) have what it takes to become an Intergalactic Force cadet? This dynamic and exciting talk takes pupils through the hazards of space and introduces them to the crew and the world of the books. It's a great opportunity to get reluctant and struggling readers motivated to tackle the books, as well as a chance to excite advanced readers about the possibilities for their own writing. I can work with classes or small groups of students on a range of writing related skills, inspiring them in their own work by introducing fun exercises and relating my experience as a writer to their work and practice. I can also design and develop workshops with you to meet any particular need, whether it's focusing on developing characters or improving confidence. For older students and adults, I've developed several great workshops analysing narrative structures and growing insight into the three act storytelling structure. I live in Norwich, Norfolk, with my wife and over 4000 books. I was born in Devon, but spent much of my childhood in Hong Kong and Horsham (West Sussex) before studying History at UEA, Norwich. After graduating, I worked in advertising as an account manager before making the unusual transition to becoming a copywriter. After going freelance, I have devoted more and more of my time to my own writing as well as sharing my passion for the written word. I have also volunteered for the SCBWI British Isles as Assistant Regional Advisor. Contact me to find out more. I am happy to travel, although I will require reasonable travel expenses to be covered and, if I am travelling far, I may need overnight accommodation to be arranged. If there are other schools in the area who would like me to visit, then travel and other expenses can be shared if this helps. Because of a new family, I currently need three months notice to book a visit to make sure I can make the necessary arrangements. What have other people said about my talks and workshops? "Benjamin Scott's workshop engaged the children from beginning to end and threw them into life as a Star Fighter. It grabbed the attention of children from all reading abilities. Thank you for taking the time to make this visit to our school and a superb workshop." "The children and staff were all very impressed and really loved your sessions - many are still talking about them! One boy in Year 4 went home and wrote a story. His mum said he doesn't usually talk about school, but was very keen to tell her all about meeting you. It is so good for the children, particularly the boys, to have such a positive role model as you with regards to reading and writing." "Our huge thanks to Benjamin: the children were really buzzing about the visit and have written some excellent stories as a result." "I just wanted to personally thank you for your comments and guidance during the Course. I really felt that I learned a tremendous amount that I will use to improve my writing. I thought your comments were on target and I so appreciated the amount of attention you gave to my writing. Thank you for being a wonderful tutor!" 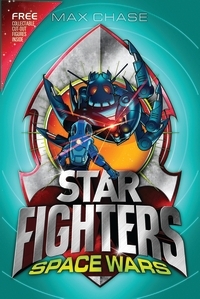 As the lead-author on the Star Fighters series, I have written 5 out of 10 books under the name Max Chase. I have also written for university students and graduates. Think of a science-fiction version of Beast Quest, with the same mix of action and cliffhanger chapter endings, plus amazing space-ships, evil aliens and a cool crew. 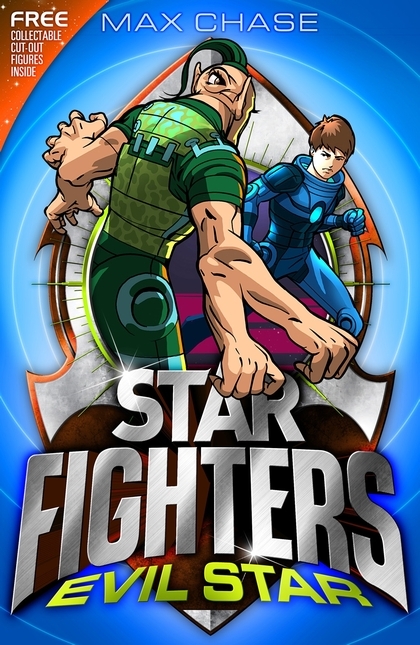 STAR FIGHTERS 6: Space Wars! Think of a science-fiction version of Beast Quest, with an mix of action and cliffhanger chapter endings, plus amazing space-ships, evil aliens and a cool crew. Turn Your Degree into a Career is a practical and easy-to-use guide for university graduates and students. It covers everything you should need, from deciding what career you might want to pursue to taking a year out and going to interviews.